I know I’ve got some explanations to make, I owe you a detailed explanation and I promise to clarify everything. I moved doncaprio.com to geek.ng about 24 hours ago and I have reasons. It may seem crazy, stupid and completely outrageous but by the time I’m done explaining why I made the move, you should be less mad at me. How can you suddenly decide to rename a site that’s gonna be four years old soon? How can a well-thinking person change a domain that’s gathered loads of backlinks over the years? What about all that domain authority? 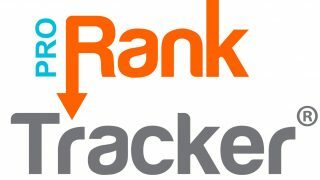 PageRank? You’re probably asking these questions and I’ll clarify the issue. 4 What is your verdict? It’s already five years I’ve been blogging now and I’m definitely not the same person I was when I started this journey. The way I think now is very different from what it was like 5 years ago, my dreams may not have changed but they’ve certainly gone through some form of metamorphosis, I’m five years older and as a matter of fact, I now have five years experience in blogging that I never had then. Basically, I’m a changed man. I wanted to put my name on everything then and that was why my first blog then was named Capriofiles.com (2009), and my second blog (2010) was fully personalized and named Doncaprio.com. Believe me, I always have trouble trying to spell out my domain name for people when we meet for the first time. I have to spell out the letters in most cases and this ain’t good. I was at a Social Media Week recently to deliver a presentation on SEO and after the event, a lot of people were asking for my website. They didn’t get it right. I had to spell out the letters before they could make any sense of what I was saying. That wasn’t the first time. Geek.ng is a lot more shorter and pretty easy to remember. I know you can’t dispute that. Doncaprio.com is just my name and I’m not sure Don Caprio is a valuable keyword for a tech blog. There’s this never-ending SEO debate on whether it’s important to have a keyword in your domain name or not. Well, I don’t think it’s necessary but then, a domain name with a keyword gives a potential visitor an idea what the site is all about. For example, when you run a search on Google for some geeky / tech related stuff and Geek.ng shows in the search results, the domain name gives you an idea that you’ll probably see that geeky / tech related stuff your looking for on Geek.ng. Where do you see yourself in five years? Okay, you’re still blogging, right? What about twenty years from now? No time for blogging anymore, huh? 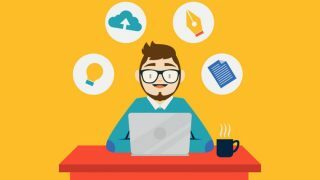 Okay, what if some new stuff comes up next year and there’s no time to maintain your blog anymore, maybe you’re busy making serious money offline or elsewhere on the internet? Of course, you hand over your blog to someone or JUST SELL IT. If that should happen, I definitely can’t sell Doncaprio.com, it’s my name, ain’t no way in hell I’m selling my name! Don’t get it twisted, I’m not saying I’m selling my blog, I’m only trying to create a marketable brand in case anything happens. 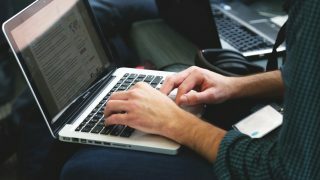 I can’t maintain two similar blogs. 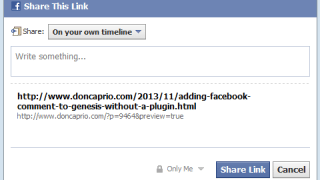 Doncaprio.com and the new Geek.ng are just too similar and sometimes, I get confused as to where to publish. There’s an hot topic and I’m not sure where to post it. This is more or less a personal thing and it probably won’t make sense to you. I’m Nigerian, I represent Nigeria and I see no reason why I shouldn’t go with a Nigerian TLD. 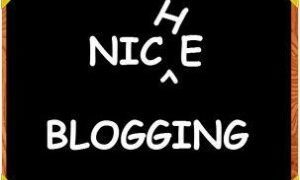 I want this blog to have a sense of connection with Nigeria and that’s why I went for a .NG domain. Apart from the new look of the website, you can now join as a contributor and write for us. I’ll be creating a forum later or a question and answer section. I’m really gonna try to find a way to create a community around the new site. 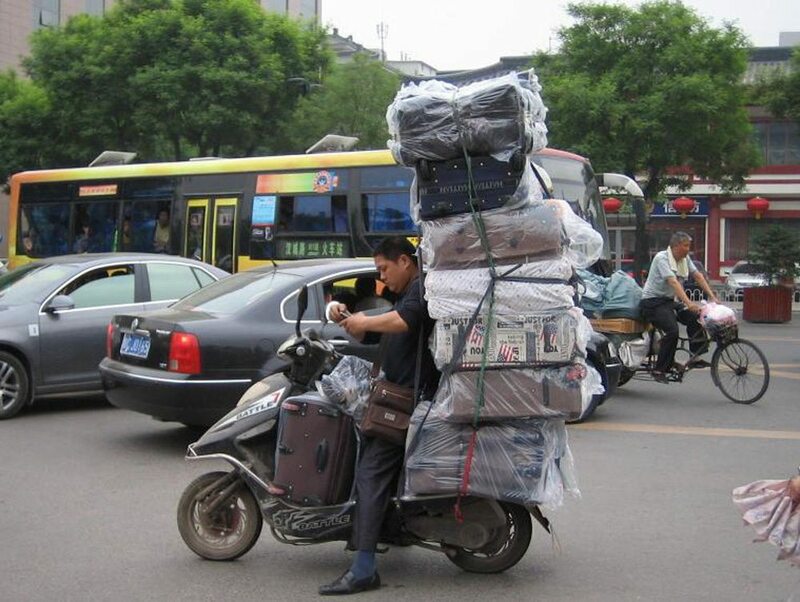 Well, the truth is that it wasn’t easy making the move. This thing has been on my mind since last year and it took a lot of courage to go ahead with it… a whole lot of courage. If you’re wondering if I changed the domain name because of the manual penalty I got from Google a while ago, that’s totally wrong. I’ve gotten past that already and that’s not it. “I’m on track, this is not a mistake, it’s all for the best,” I keep telling myself even now. Well, I’ve explained and I think that clears it. I believe you now agree with me that I have good reasons. What do you really think? I would like to hear you comment and opinion. You can also help point out things that are not working properly or need to be added. I’m really gonna appreciate that. By the way, I really thank you for being a reader on this blog all these while. I appreciate you even took the time to read this piece. this is interesting Boss, i now realize the point explained really make so much sense. i have to bookmark this to read over and over for learning purposes. Thank the Don. Glad you were able to learn a thing or two from the article, bro. That was a lot of courage Don, I made same move for 3ptechies.com, particularly the marketability aspect was what inspired me to make the move. Thanks to God I didn’t go as far as five years before making the move. Honestly, I prefer your new domain to the former, the vision is also clearly stated from the beginning. I see geek.ng going to places, sooner it will be beating the likes of techloy and shoutmeloud. I respect your courage Don. Thats a great move, actually i was also thinking of changing my domain name and now you give more reasons to. Pointing to Reason #1, #2 and part of Reason #3 where you talk what might happen in future and to make it more bad, my blog is off google and been trying to fix that for a long time and no positive result, all this makes me change my mind. Thanks for the kind words. Have a great weekend ahead too. Just when i was angry… i even thought you sold it. anyway’s its all green and i like green. I just have great love for you but this decision kinda makes me feel like ” What da hell went wrong”? Seriously, i think geek.ng deemed more professional, easy to remember, describes the blog and has more potential. You know i always support your decision but this is kinda difficult though but i really pledge my undying support for your decision. I trust you are gonna bounce back within months. No risk! No reward. The name worth it. Well explained and i think your reasons are genuine enough for us and you as well. I want to see Geek.ng become a brand as Don Caprio did too. I trust and respect your judgement and i know you will take Geek.ng higher. This is far your biggest decision and I’m not sure I need to act like a nerd or a sycophant but I guess you have thought over this over and over again. I am not buying the “Spelling domain” ish, I believe no body knew how to spell Google or Mashable at the initial phrase of their existence, but they have become household names. I would personally subscribe to the more logical reason which will be the burn-out that’s associated with managing two-tech blogs. I find Geek.ng more appealing though, and I believe it will reach levels of previously unseen heights. Thanks, Nosa. the burden was getting too much… I shouldn’t have tried managing two tech blogs in the first place though. Finally, Finally, Finally..the step has been taken..really no one with his right senses will think this is a wrong move, (providing him with all the above reasons). it has never been easy managing two tech blogs, I pray the great future you’re dreaming for geekNG will surely come to pass…bigger you boss..cant wait to see GeeKNG at the top. I guess no SEO setback?? huh? Keep it up bro. God bless! when I was starting to become your avid reader. I always misspelled Doncaprio from Doncarpio (like the movie actor on Titanic). You are on d right track man, d new domain also make sense. hmmm.. a bold step indeed… its well bro. And the best point I liked was about connecting with motherland. I am an Indian and initially I used to write the content that would be most suitable for US visitors(you know the reason). But later I wrote what I was most comfortable with. Why should I try to be someone else just for more money when I can be myself and represent my own country globally? That, brother, is a very great point but a lot of people won’t agree on it. Thanks for dropping by. I thought about it but I believe that is only applicable to TLDs like geek.info, geek.net and the likes. 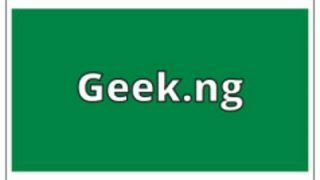 I believe Geek.ng is unique on it’s own and can’t be confused with geek.com in any way. Hello Don, i hope i am not late in dropping a comment. Oh well, i can’t really be blamed. PHCN and NNPC should take the blame. BTW, a nice move you made here. I kinda like the geek.ng thingy, very easy to remember and memorize. However, i don’t mean to be biased but i think the design on doncaprio.com beats that on geek.ng. Nice shot buddy. Bro your reasons are Genuine, i like it when you name something according to what is does. Geek is just OK. You’ve given me a reason to give mine a change too mine bukins.com doesn’t really suggest a techy site. I think I’m in love with the .ng thing……..i look forward to it going VIRAL…Congrats. IMO, it ain’t bad right now. Thanks for dropping by, bro. The concept is good as now you can concentrate on developing the brand which is easier to remember.